No Contracts. No Activation Fees. No Early Termination Fee. We understand what it's like to have kids. One minute they want one thing, the next they want the opposite. That's why we don't require a contract. Buy it, use it, and if you want to cancel it, do so at any time, without any penalties. We understand kids which is why our parental controls are totally flexible. Good grades one week? Add to the allowance. Late for curfew? Restrict the times she can use the phone. Our parental controls allow you to set up allowances, decide who she can call and text, and when. We understand parents too. One of the reasons you get your kid a phone is for security. With this added feature, you can find your kid's phone any time. You can also set up scheduled locates to check in on a regular basis. All this and plans starting as low as $4.99/month....Finally, a cell phone truly made for kids and their families! As I've mentioned a few times now, my oldest child will be starting school this year. There's no denying it, my "baby" isn't a baby anymore. As I am adjusting to this change as a parent, I want to make sure that he can reach me if he needs to at all times. 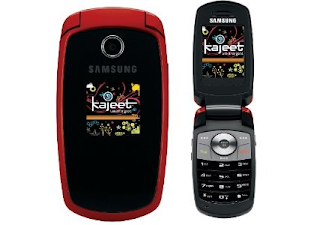 In doing some research I was excited to come across this great cell phone company kajeet - they make cell phones just for kids and families. I was so excited to have the opportunity to review the kajeet Samsung m300 with B. While I knew that I wanted a cell phone for him (I wanted him to feel comfortable and connected when I drop him off at his after school activities)- there were a couple criteria that were absolute musts. I wanted to: 1. Be able to control the amount of use - as he would be calling everyone and their aunt (he's quit technical and would probably be texting everyone and their aunt too! - though kajeet has an awesome unlimited texting plan at a GREAT price ) 2. I didn't want to be tied down to a contract. Are you also considering a cell phone for your child as they head Back to School? Check out kajeet! They have pricing that won't break the bank, and features galore. 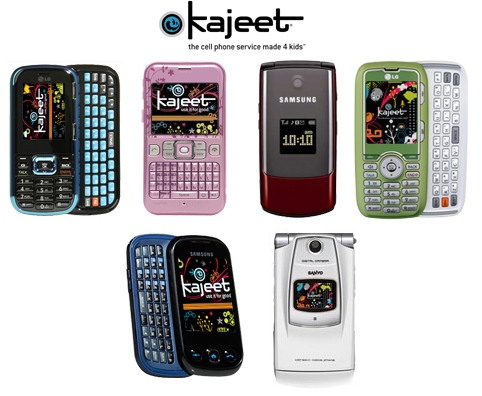 Leave a comment-Which of kajeet's features are you most excited about? The commet is considered your entry.